E niente, la DC ha cambiato in giornata i suoi piani. 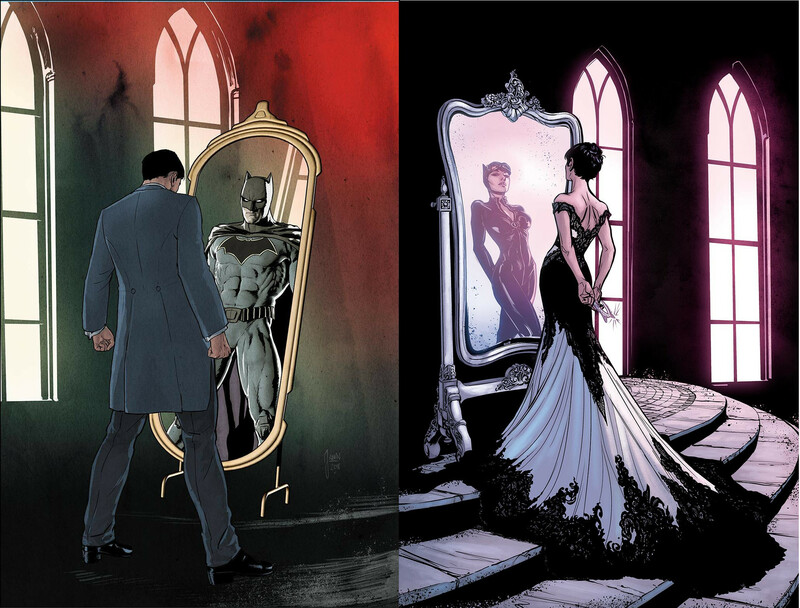 After receiving feedback from retailers, DC announces that both the Batman and Catwoman covers on BATMAN #44 now will be open to order! The BATMAN #44 Batman cover with art by Mikel Janin is available to order under item code FEB180164. The BATMAN #44 Catwoman cover with art by Joelle Jones is available to order as this issue’s variant cover under item code FEB180165. This cover features the first appearance of Catwoman’s wedding dress. This issue’s original variant cover by Olivier Coipel will appear on a future issue.